Every Door Direct Mail has several requirements set by USPS. 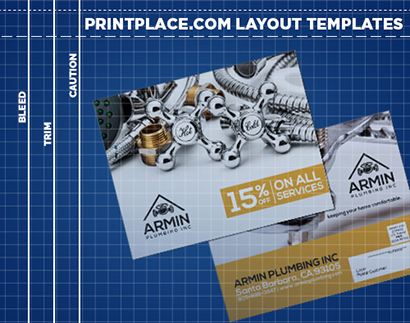 Use our EDDM layout templates to make sure your printed pieces match USPS standards for printing and mailing. They even show you correct placement of the blank spaces needed for the indicia and printed addresses. We have Illustrator and Photoshop layout templates for EDDM. 1. Pay attention to the safe area, cut and bleed area to make sure your EDDM designs do not get cut out. 2. Indicia and address is located at the lower right portion at the back of the postcard. Indicia is used when mailing in bulk, as opposed to using stamps.